In spite of the negativity surrounding Adams, he won the presidency and assumed office in 1797. The inauguration was as understated as possible. Jefferson, who was elected Vice President, and George Washington, the outgoing President, were on either side of Adams as he read his inaugural address to Congress. In a powerful voice, Adams paid homage to the writers of the Constitution which he announced were guided by “good heads prompted by good hearts.” But Adams warned that factionalism, partisanship and “foreign influence,” if unchecked, would tear the nation apart. Adams agreed to carry on the legacy of Washington, and keep the nation out of wars and entangling alliances. 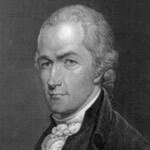 Alexander Hamilton, 1805. Washington University Law School. Adams’ speech moved the delegates to tears. But there is no doubt some of those tears were shed for the departing revolutionary general who led the country through eight years of his presidency, and graciously stepped down. Adams, who wished to carry on Washington’s legacy, and keep the country united, kept Washington’s cabinet completely intact. “[George] Washington had appointed them and I knew it would turn the world upside down if I removed any one of them,” John Adams said. The incumbent cabinet was composed of Timothy Pickering, the Secretary of State, Oliver Wolcott, the Secretary of the Treasury, Charles Lee, the Attorney General, and James McHenry, the Secretary of War. All were Federalists, and all were devoted followers of Alexander Hamilton. While Hamilton and Adams were in support of a strong central government, Hamilton diverged from Adams in foreign policy. Hamilton was known to be pro-British and anti-French, and he was determined to form a national army. At the same time, French and British privateers continued to seize merchant ships, and with political and social chaos across the seas in France, a declaration of war against one of the great European powers seemed all but certain. Hamilton was determined to involve the United States in a war for the sake of national aggrandizement. The seizure of American ships and sailors was an issue that Adams could not ignore. The French, who believed the Jay Treaty between Great Britain and the United States was the equivalent of an alliance, continued to attack American merchant ships. To combat the issue, Adams believed the nation’s best defensive stance would be supported by the rebirth of the navy. In addition, Adams sent a diplomatic mission to France with the intention of restoring Franco-American relations to their previous state. With the fall of Robespierre in 1794, the Directory assumed control of France and seemed to be restoring order. French armies were marching through Europe almost unopposed. Adams wanted to avoid war with France at all costs. 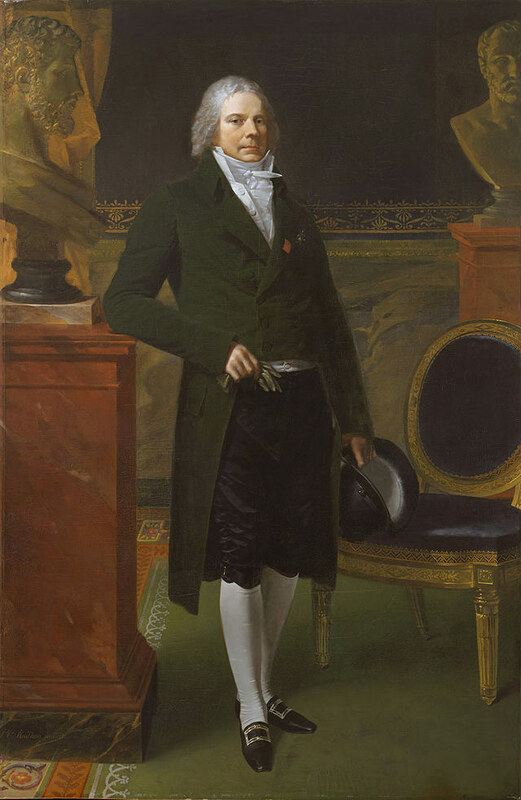 Charles Maurice de Talleyrand Perigord, Pierre Paul Prud'hon, 1817. The Metropolitan Museum of Art. The three diplomats sent to France spoke with Prime Minister Charles Maurice de Talleyrand, who demanded a personal tribute of $250,000, and a bribe of $10 million for the French Republic just to speak with the American delegation. Under this arrangement, there would be no guarantee of a negotiation. The three French delegates that approached the American commission would be described in reports as agents X, Y and Z, and thus the incident became known as the XYZ Affair. 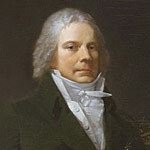 Americans, both Federalists and Republicans alike were disgusted at the treatment of Adams’ delegation by Talleyrand. When news of the XYZ Affair reached the press, the war hawks in the Federalist camp again started screaming for a declaration of war. President Adams could not ignore French aggression, so instead he convinced Congress that frigates for a navy should be built with great haste. In addition, nearly 80,000 militiamen were called on for active duty in the United States Army. To pay for the cost of the new army, the Adams administration approved a direct tax on property. In response to the federal tax, farmers in western Pennsylvania attacked tax collectors in what became known as Frie’s Rebellion. The army was sent in to quell the violence, and at the show of such force, Frie’s supporters retreated. The leaders of the movement were arrested, and sentenced to death for committing treason. But on the eve of the Presidential election in 1800, Adams would eventually pardon the leaders, explaining that he considered the incident in Pennsylvania to be a riot, as opposed to an armed rebellion. With news of Frie’s rebellion spreading throughout the country, and with war hysteria at a fever pitch, Congress met to redress the situation, and settled on four bills that were designed to quiet those who spoke out against the government. The Alien and Sedition Acts were passed in 1798 to silence members of the press who stirred the pot of discontent, and to keep a growing population of French immigrants in check. Federalists were concerned that such a large population of Frenchmen could infect the American population with the radical ideas espoused by the French Revolution. In addition, the passage of the acts was personally gratifying to Adams as false claims against government officials could lead to imprisonment and a hefty fine. Benjamin Franklin Bache, the editor of the Aurora was arrested in 1798 for alleging that Adams was a monarchist bent on destroying the gains of the American Revolution. James Callender, a Scottish immigrant, was thrown in prison in 1800 for calling Adams an “unprincipled oppressor.” It seemed to all that the acts were meant to silence Adams’ critics, as opposed to securing national borders. In response to the acts, Thomas Jefferson and James Madison of the Democratic-Republican faction argued that since states had the power to pass laws, the Alien and Sedition Acts could be pronounced null and void. In what became known as the Kentucky and Virginia Resolutions, Jefferson and Madison argued that states’ rights superseded federal laws, and if a law passed by the federal government was deemed unconstitutional, the states would be under no obligation to follow its dictates. While the Alien and Sedition Acts were devised to increase national security, they instead further increased the divide between Federalists and Democratic-Republicans. As the two parties argued about the constitutionality of federal laws, the undeclared naval war between France and the United States continued unabated. In what would become known as the Quasi-War, French warships patrolled the coast of the United States in an attempt to seize goods headed for Great Britain, and vice versa. The U.S. Navy was growing to be sure, but was still no match for the European fleets. Then, in 1798, Elbridge Gerry who was in Paris informed Adams that Talleyrand had a change of heart. He recalled the commissioners to France with the intention of reestablishing diplomacy between his country and the United States. On February 18, 1799, Adams nominated William Vans Murray, who was currently at The Hague, to move to Paris and assume the post of minister plenipotentiary to the French Republic. In August, a letter from Talleyrand arrived which stated he would receive the American envoy respectfully. Adams departed for Trenton, intent on meeting with his cabinet to discuss the diplomatic mission before they departed. But before Adams could meet with his advisors, he was intercepted by Alexander Hamilton who was appointed second in command of the United States Army by George Washington. Hamilton was there to advise Adams that it would be a blunder of epic proportions to send the envoy to France. According to Hamilton, the British were close to winning the war, and it would be advantageous for the Americans to join the side of the victor. By sending the envoy to France, Hamilton stated, the British would be deeply offended, and would declare war on the United States anyway. But as Adams would remember, Hamilton was completely ignorant of the situation in France. While American warships were still doing battle with French warships, there was an understanding that the war should never escalate. Hamilton talked privately to Adams for hours, and while Adams heard his case, he would recall that “I heard him with perfect good humor, though never in my life did I hear a man talk more like a fool.” In spite of Hamilton’s remonstrance, the envoy departed on November 15 to seek peace with the French Republic. Just days before the envoy set sail, the brilliant French general, Napoleon Bonaparte seized control of the Directory on November 9, 1799. Napoleon understood that a naval war with the United States would only upset his plans of conquering Europe—and was unwelcome at a time when France was embroiled in a war with Great Britain. When the American envoy arrived, they signed the Treaty of Mortefontaine on September 30, 1800, effectively ending the Quasi-War with the French Republic. The cessation of hostilities between France and the United States was good news, even for war hungry Federalists, but news of the treaty did not reach the United States until the election of 1800 had already been decided. Even without news of the treaty reaching the United States before the election, John Adams was still in a position to win reelection. But in one last attempt to undermine his old rival, Alexander Hamilton produced a pamphlet designed to discredit Adams. 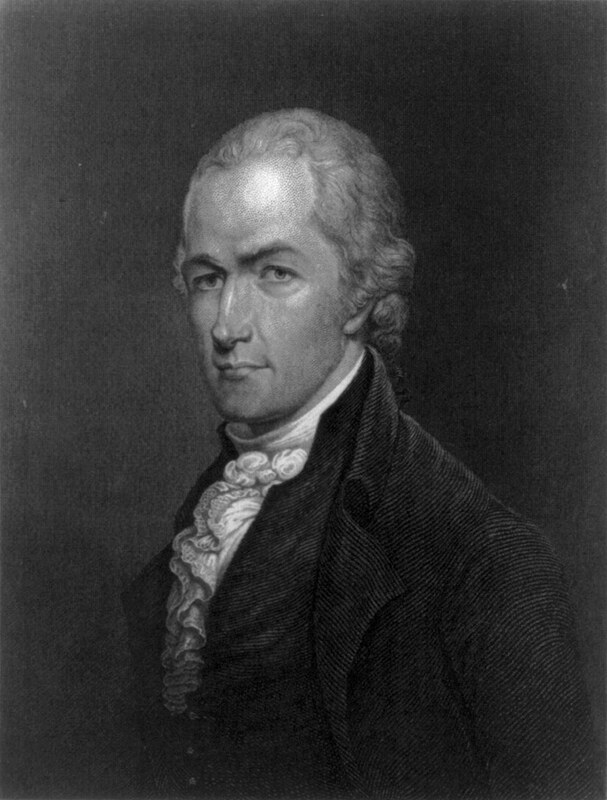 Hamilton attacked Adams on all fronts, citing his eccentric tendencies, vanity, and bitter animosity toward his opponents. Unfortunately for Adams, Hamilton’s pamphlet affected the outcome of the election. Adams lost the presidency to Thomas Jefferson, and resigned from his career as a public servant.